Are We Building Too Much Housing? 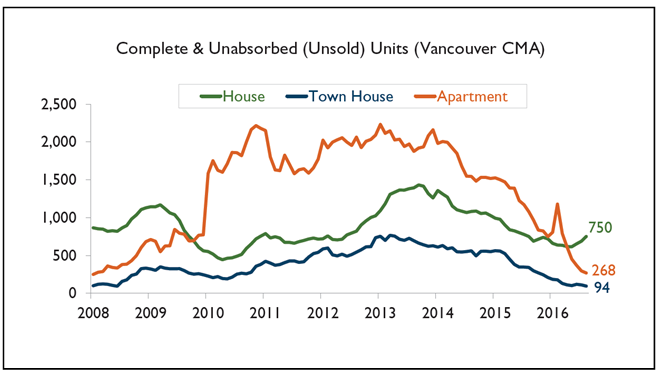 In response to strong demand and falling inventory of new homes, builders had 34,020 housing units under construction in August in Metro Vancouver. 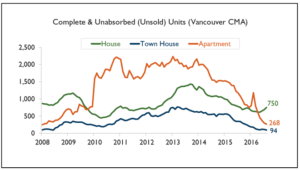 But in spite of the construction sites we see on just about every major route in Vancouver, CMHC reports that there is no evidence of overbuilding, with August inventories at or below historic averages. In addition, vacancy rates for both purpose-built and secondary rental apartments has been at or below 1% since 2014 – renters will confirm there is not an over-supply of housing. 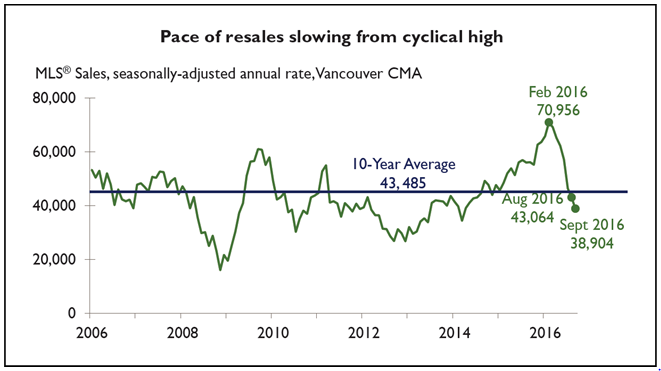 The pace of home sales growth has been steadily diminishing since peaking in Feb. 2016 and is now hovering close to the 10-year average. But that may be only part of the demand picture. Since 2005, an estimated 158,000 new households were added in Metro Vancouver. During the same time period, the housing stock grew by only an estimated 153,000 units (construction starts minus demolitions). That implies demand is not satisfied. 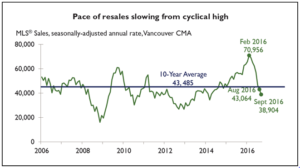 Employment growth in Vancouver (6.3% annually in August, highest in Canada) has exceeded provincial employment growth in 8 of the last 10 years, further adding to housing demand in the region.